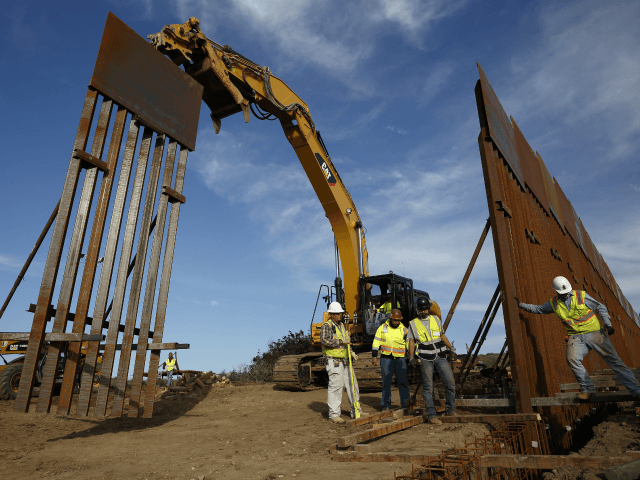 President Donald Trump asserted Friday he has already started building the border wall, urging supporters not to lose faith. “The chant should be now, ‘Finish the wall’ because we’re building a lot of wall,” he said to reporters during an event at the White House on Friday. The president said he was still seriously considering declaring a state of emergency at the border, which would allow him to redirect funding to secure the border without Congress. Although Trump expressed skepticism that the bipartisan compromise congressional committee can draft a serious border security proposal before February 15, he has said he will wait until the deadline before acting on his own. The president is referring to the carefully allotted $1.6 billion from Congress in the 2018 omnibus bill allowing him to replace or repair existing border structures on the southern border — but not build new structures.